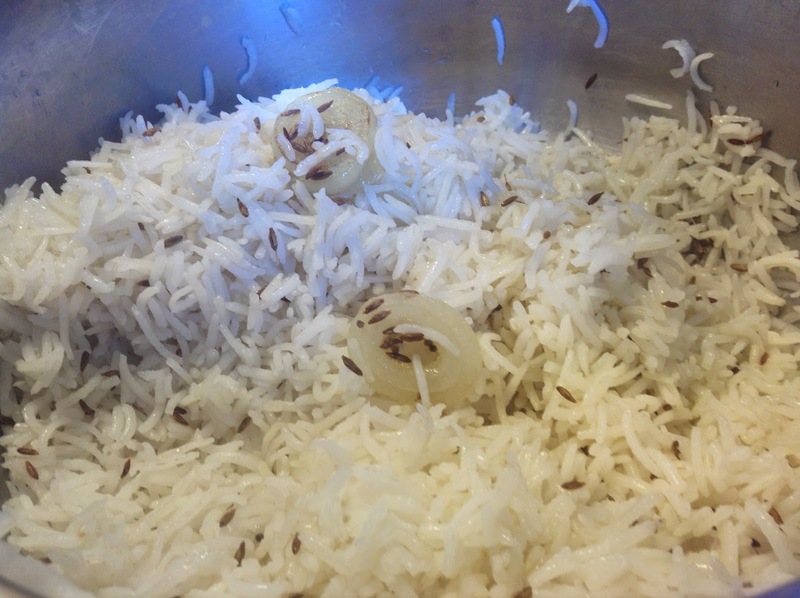 Every household has their own version of making Jeera Rice: some like it grainy, others like it a little over boiled; some like to remove the starch, others don't. Some like to keep it plain and simple, other temper it with a lot of spices. 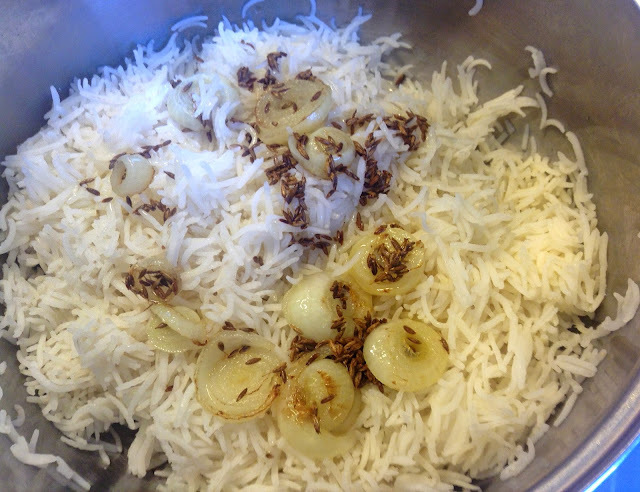 This is my version where I boil the rice, remove the strach and then temper it later; unlike at my house in India where mom used to temper it first with ghee, and then add rice to boil. Drain that water, add the 4 cups water in 1 cup rice and boil on the highest temperature in open flame. When it begins to boil, simmer the heat. I use induction stove top so I turn it off, and it remains hot enough for quite some time. Remove from heat and drain all the water. Keep back on lowest flame/turned off induction stove top and cover it. Let cook in steam for about 3-4 minutes. 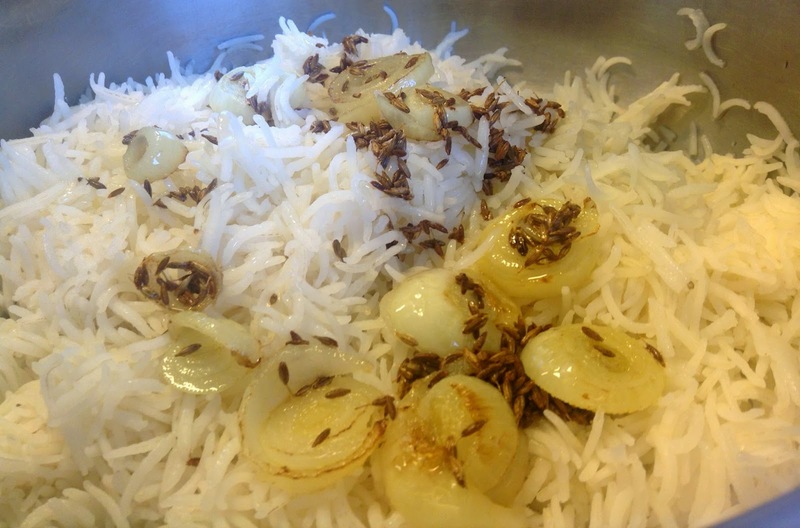 Heat oil in a pan and temper the cumin seeds. Add the spring onions and fry until they start becoming brown. Turn off the heat and pour over the cooked rice. Serve hot.